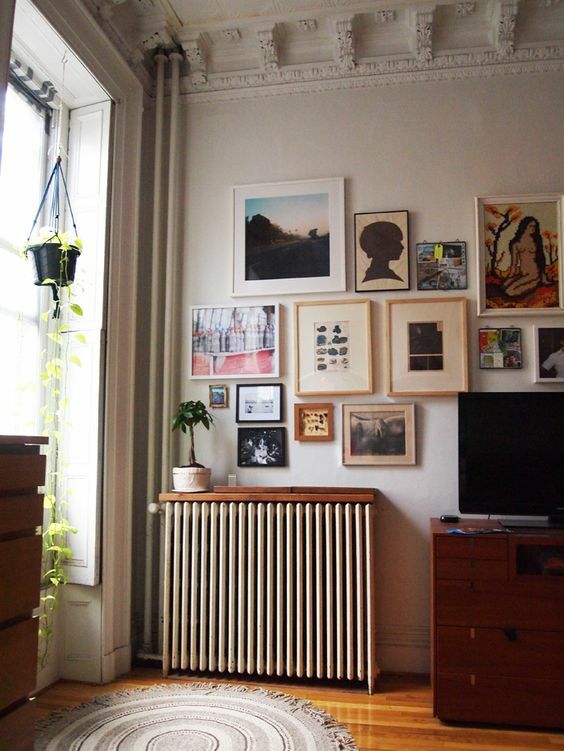 Most of us hide radiators, especially in the warm season. 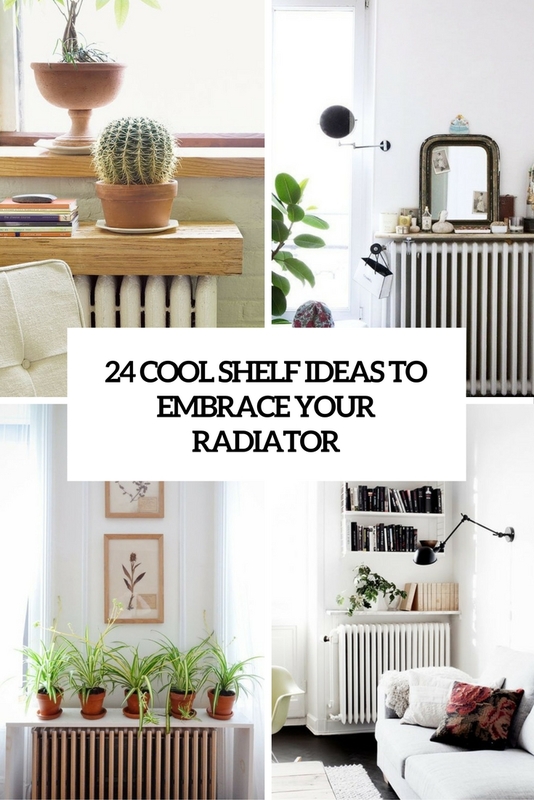 Don’t want to hide your radiator? 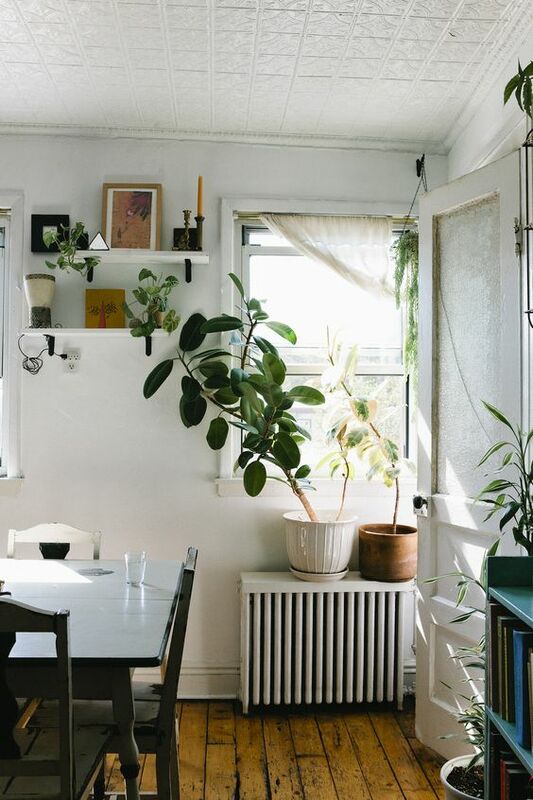 It’s a good idea to embrace it and use the space over it as much as possible as this way you’ll reduce the heat loss that happens when you have screens and covers. 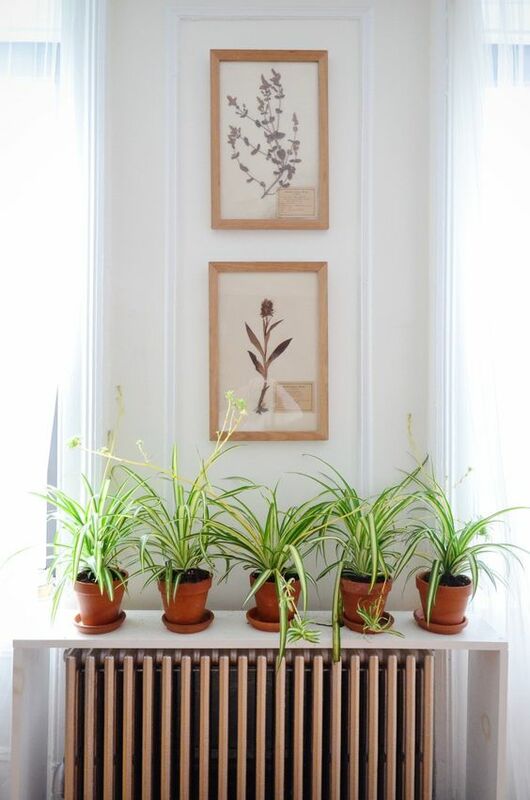 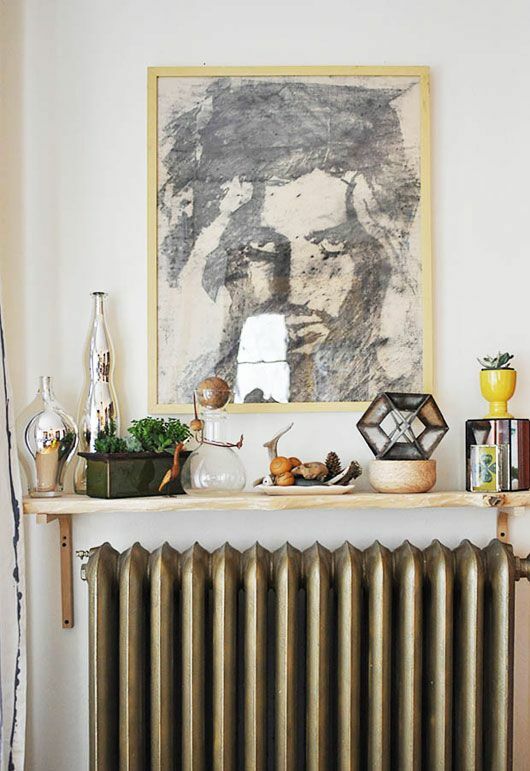 A top of a radiator can be the perfect place for a shelf. 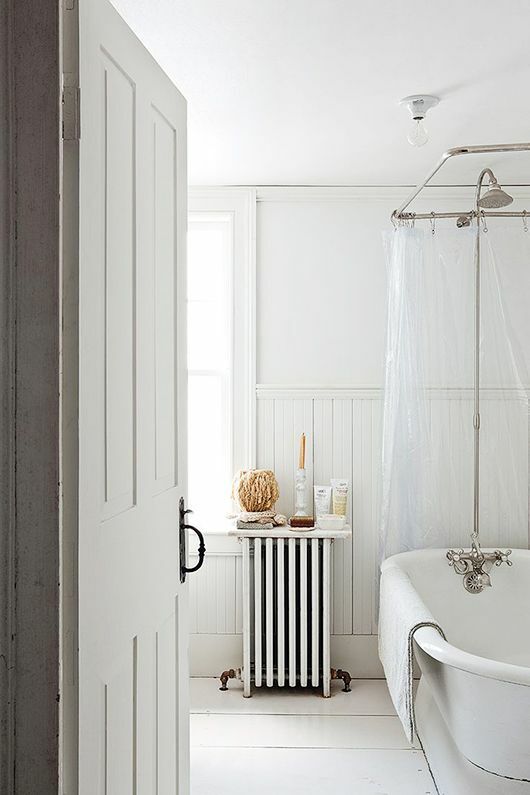 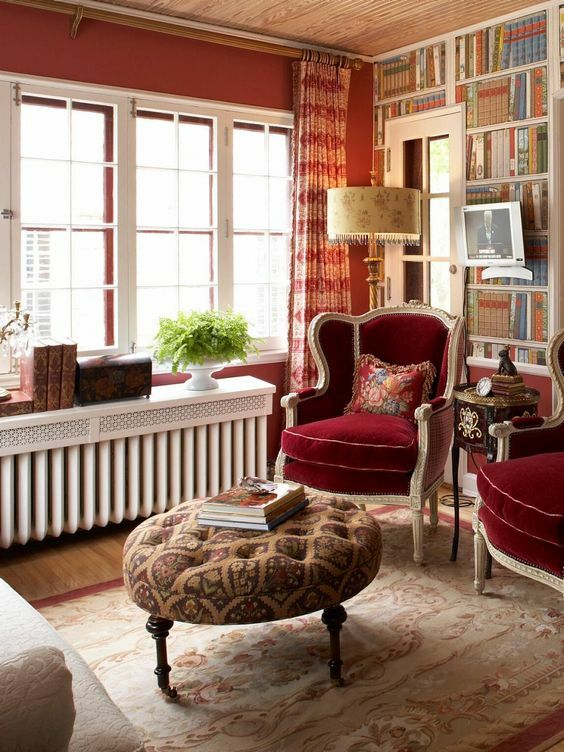 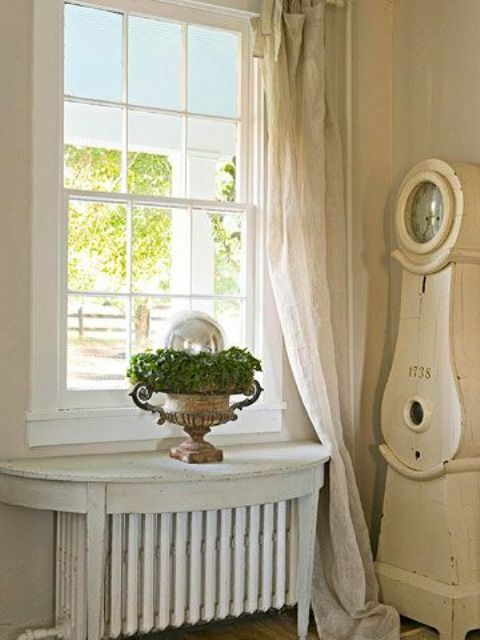 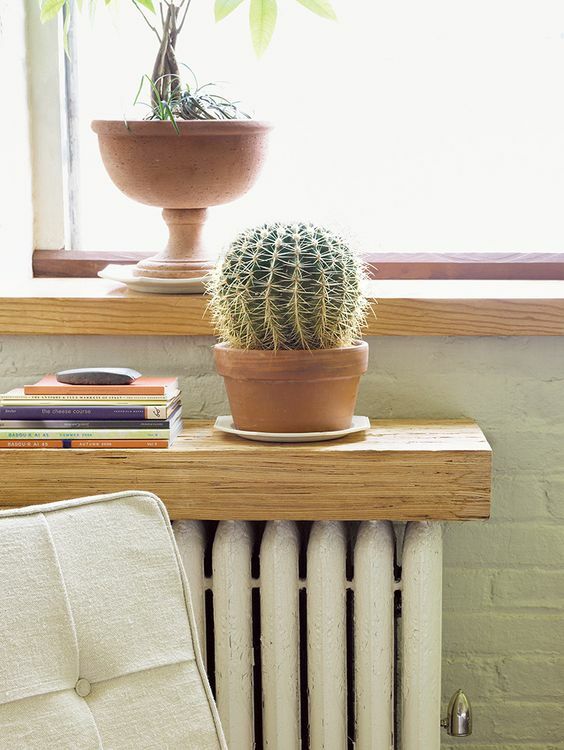 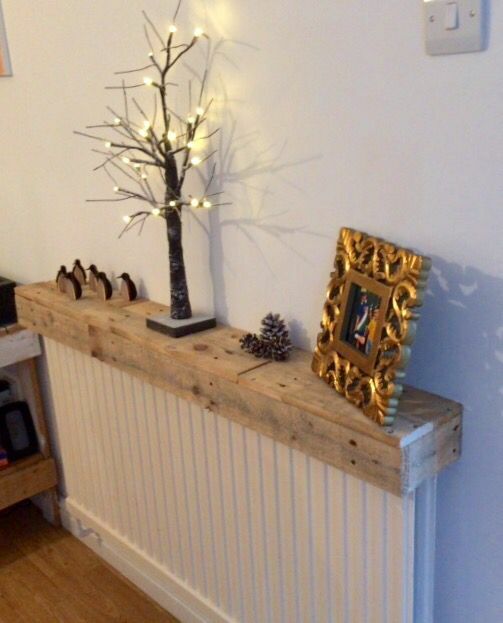 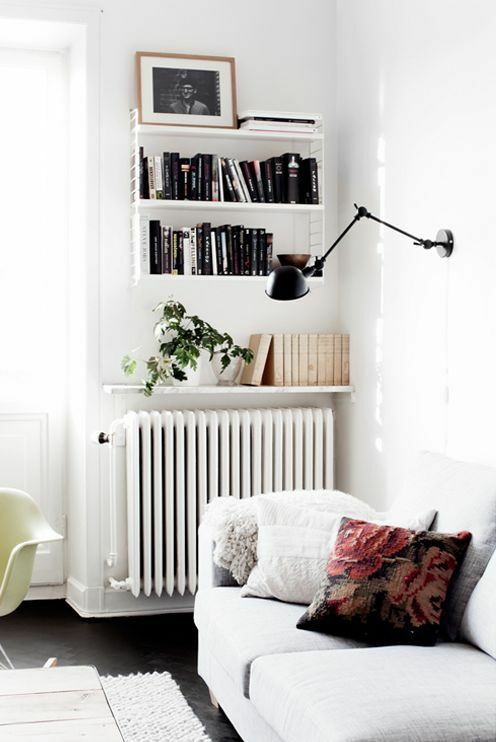 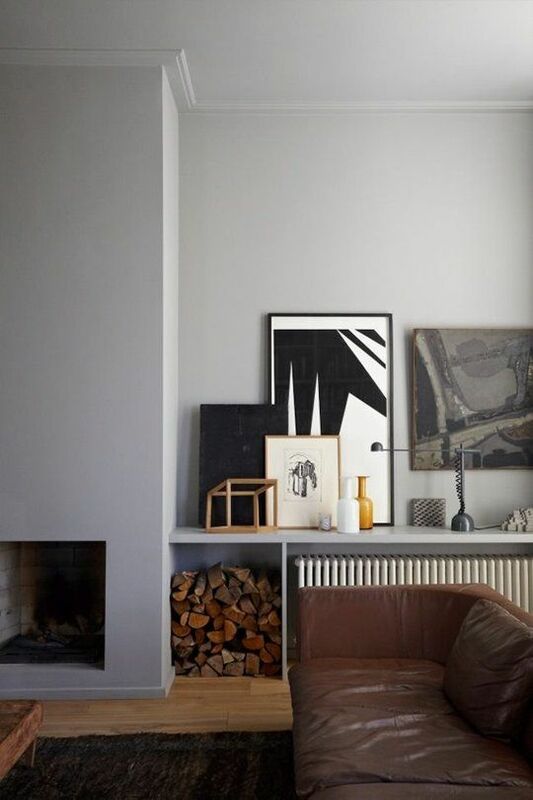 When a piece of wood or stone is placed on top, a bulky radiator becomes a handy side table or bookshelf. 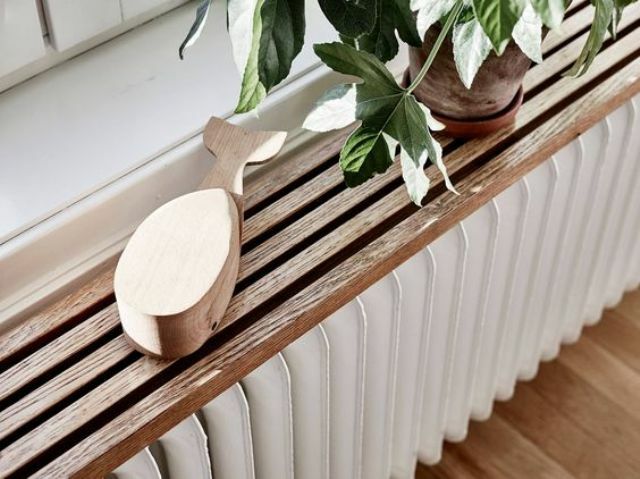 If you’re using wood, just be aware that it might warp over time. 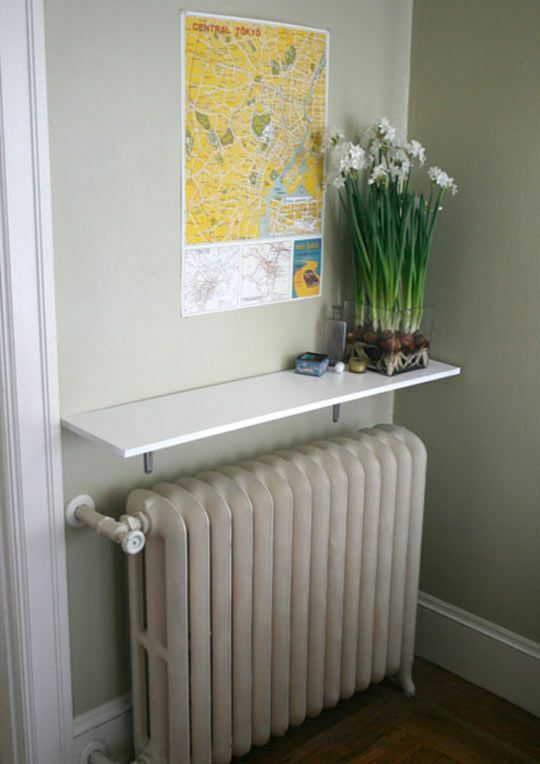 Such a shelf can be placed right on top of the radiator and attached to it using some brackets or other supplies. 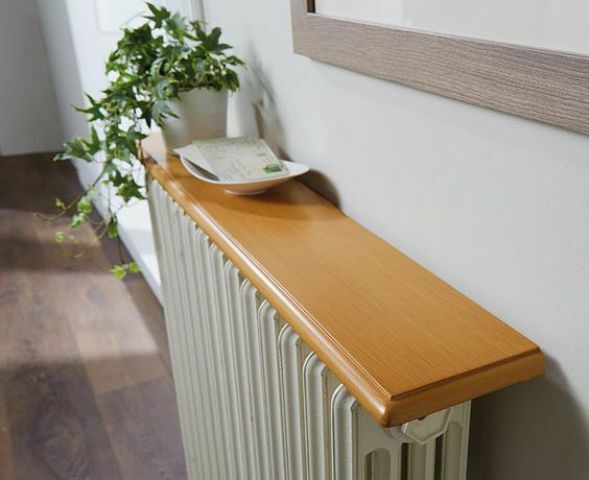 Another idea is to wall mount this shelf above your radiator, this will keep the items placed on the shelf safe and they won’t warm up, this is a good idea is you put planters on it. 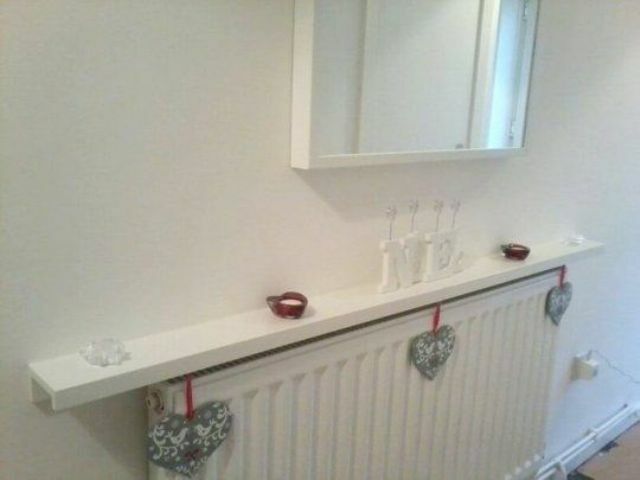 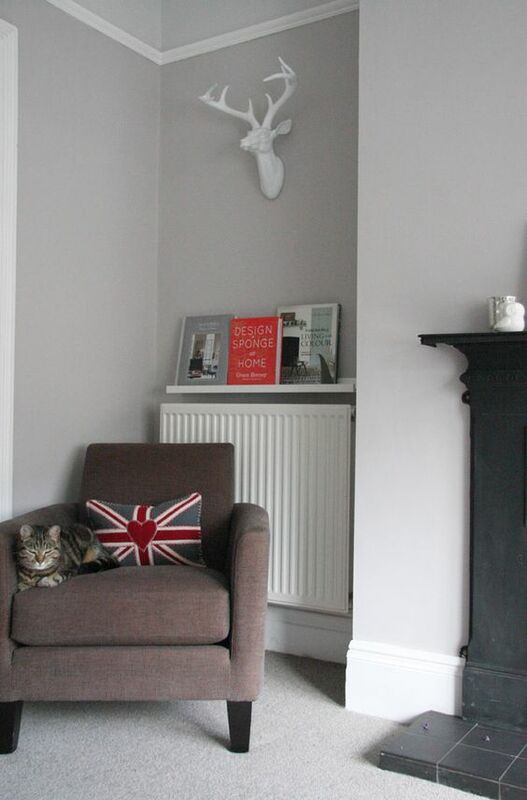 I also love floating shelves above the radiators, they look awesome. 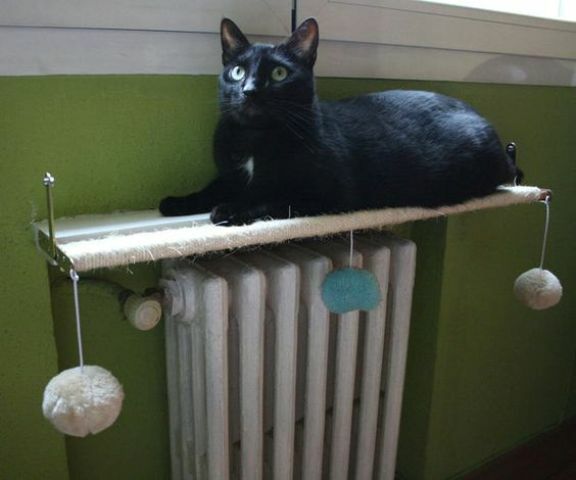 This shelf may be used for displaying your decorations and accessories, as a plant stand or as a kitty bed if you have a pet – cats love warm places. 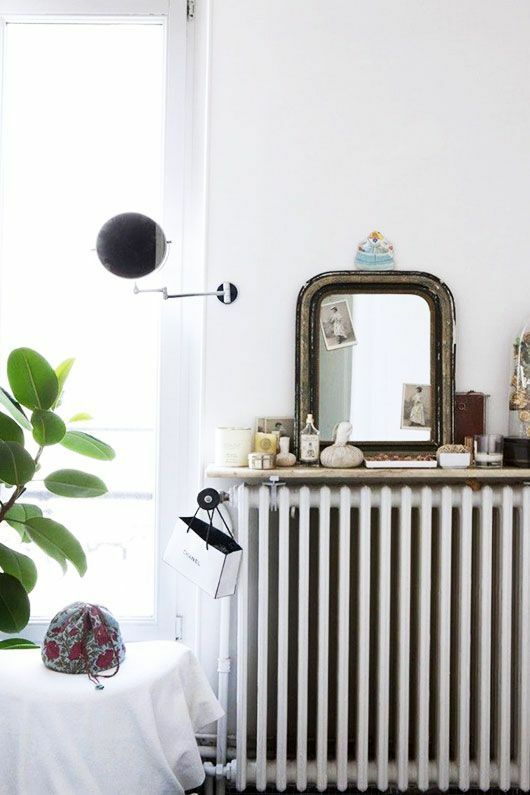 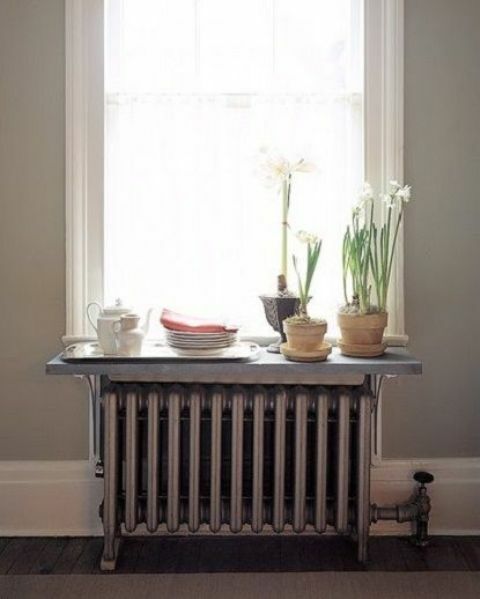 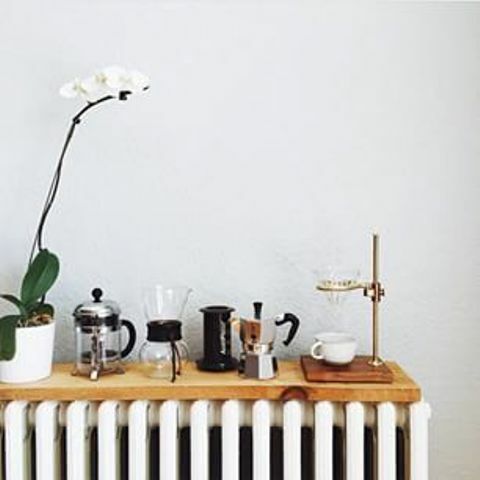 If you live in a small space, such a radiator shelf is essential – you can use it as a holder for various supplies – tableware and dishes, bathroom accessories, books and other stuff. 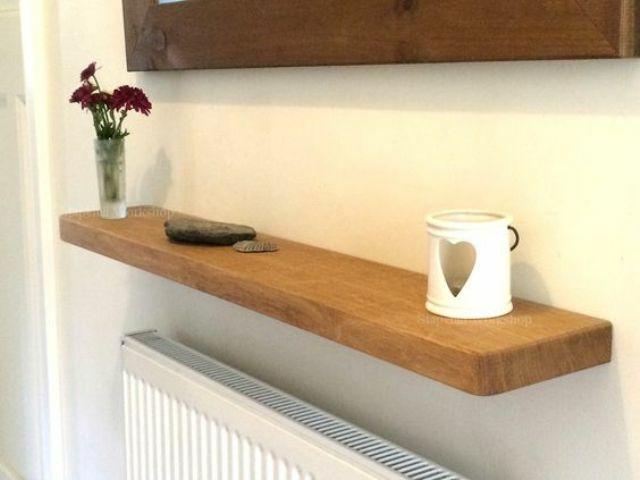 If you don’t have window sills, this shelf will work as one; you can use such a long window shelf as a worktop or even a seat if it’s steady enough. 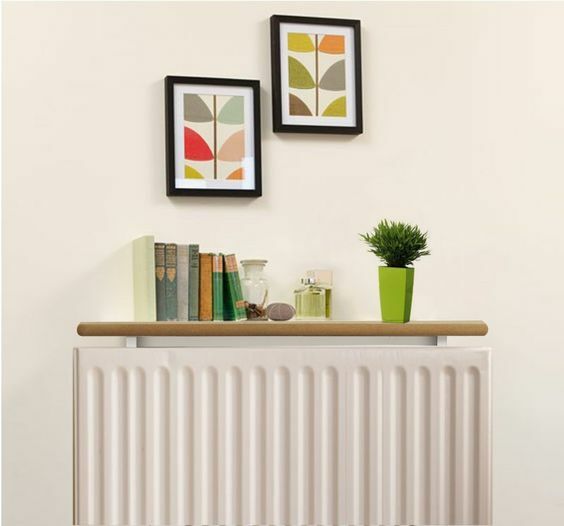 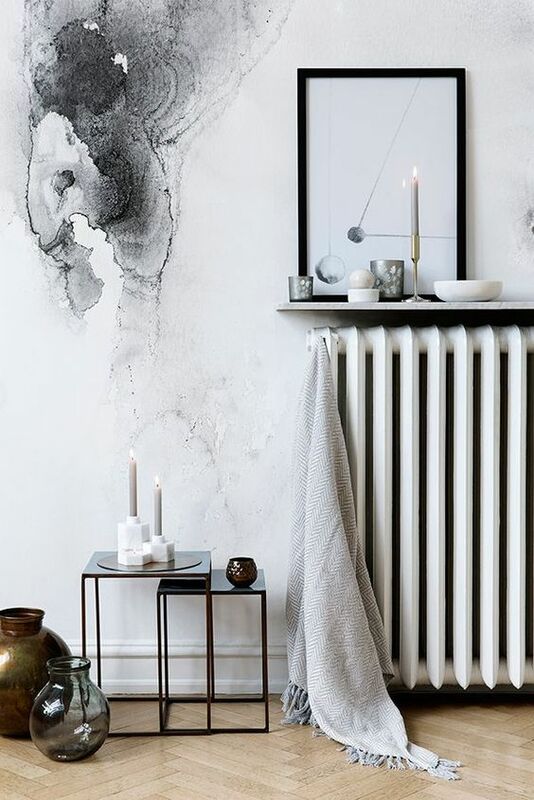 A radiator shelf with cool design and interesting things displayed will be a nice way to distract attention from the radiator itself, nobody will notice it.